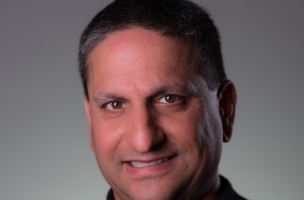 Former Groupon Vice President of Product and Technology Ajai Sehgal joined social relationship platform HootSuite as chief technology officer. Former HootSuite CTO Simon Stanlake will remain on the company’s engineering leadership team. While at Groupon, Sehgal played a key role in the development of Groupon Travel. Prior to Groupon, he spent more than one decade with travel website Expedia. Ajai’s experience in scaling high-growth organizations adds great value to our senior leadership team. His drive for developing world-class products that solve our customers’ most pressing needs aligns well with HootSuite’s core values. I can’t think of a more exciting time to join the team at HootSuite. The innovation and collaboration that drives this company is the type of culture I thrive in. HootSuite’s engineers are some of the best and brightest. We’re going to do awesome things.